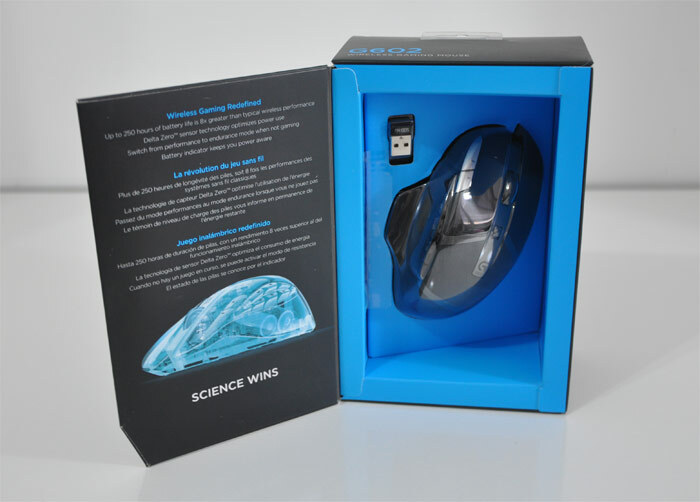 If you are a gamer in the market for a new mouse there are plenty of mice specifically designed for gamers each offering a wide range of features and functional that you can tailor to suit your gaming style and type of game you are playing. Being predominantly a first-person shooter (FPS) video gamer I have been using the Razer Mamba gaming mouse for some time, which is also a wireless mouse but unfortunately after a short time of using it wirelessly, I returned to a cable connection for accuracy and battery consumption issues. 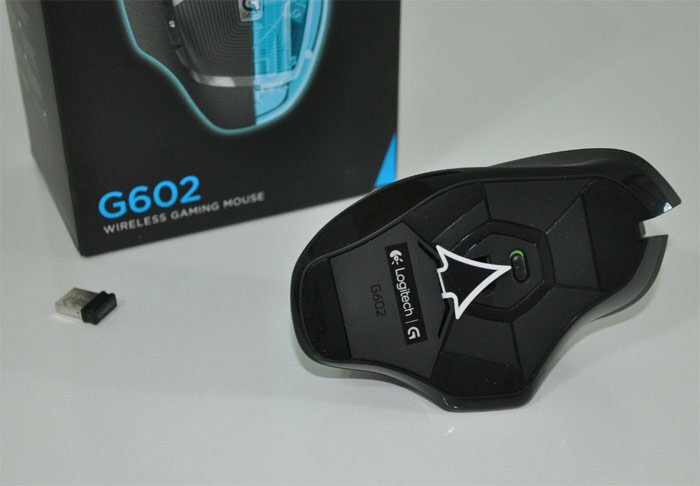 This week I thought I would put a new wireless gaming mouse through its pace and have been testing the Logitech G602 wireless gaming mouse which offers a range of gaming specific features that have been added to help make your kill streaks even longer and the ability to adjust its sensitivity in-game. 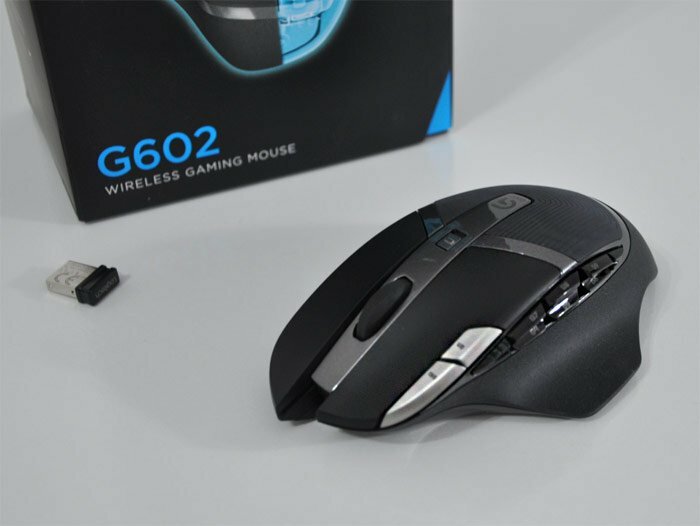 One of the major benefits of using the Logitech G602 is that the gaming mouse can be powered by either one or two AA batteries allowing gamers to benefit from either 125 hours or a massive 250 hours of wireless gameplay when using two AA batteries. Also when the Logitech G602 mouse is not in use it automatically engages a hibernation mode that enables the batteries to conserve energy and last for an astonishing 1440 hours or 60 days without you needing to turn off the wireless mouse between uses. The Logitech G602 is also equipped with Logitech’s Delta Zero sensor which has been created by Logitech to provide gamers with a DPI range between 250 and 2500 to choose from. 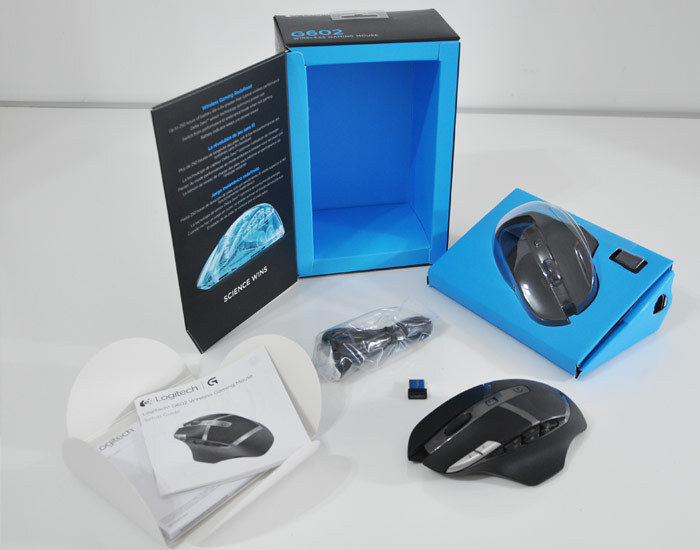 But unlike other mice in the gaming market the Logitech G620 allows you to seamlessly alter the DPI in-game using two handy mouse buttons on the left side of the main left click mouse button. The two small DPI buttons enable you to quickly switch up and down depending on the DPI you require in game. For example if you are using sniper rifle in a first-person shooter (FPS) video game you might want to reduce the DPI of your mouse for extra accuracy whilst you are fully scoped, then return it to normal when using a weapon firing from the hip. Both these can be complete at the simple click of a button and on the fly, providing fast response whilst in battle. 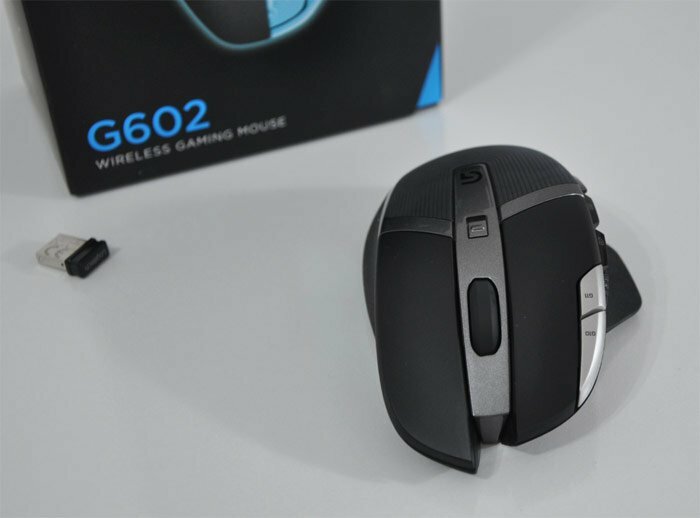 The Logitech G602 uses a wireless 2.4GHz connection offering a 2-millisecond report rate using a USB Nano receiver and has a handy battery indicator on the top of the mouse for easy viewing. You can also easily assign any keyboard keystroke or multi-command macro to any button with Logitech Gaming Software but there are a few limitations to the range of complex macros you can create with the provided software but most can be worked around using a slightly different setup. The ergonomics of the Logitech G602 mouse are fantastic and with medium-sized hands the mouse fitted perfectly within my grip and provided support everywhere I needed it ,even during longer gaming sessions. The buttons on the left hand side are easy to trigger using your thumb and the weight of the mouse is not too heavy even with the two AA batteries weighing in at 153g, offering swift and accurate positioning whilst in game with positive feedback. On the base of the mouse there are four large slide pads which easily glide across my steel mouse mat. All-in-all the Logitech mouse receives full marks in my opinion for design and comfort and is very similar in size to the Razer Mamba which has been my mainstay gaming mouse for the past few years. The Logitech G602 is fitted with 11 buttons in total which includes the standard middle scroll button and standard left and right buttons. On the right side there are anther six handy buttons that can be operated using your thumb and proved to be excellent communication buttons for in squad and platoon chat as well as providing quick keys for other in-game commands depending on your style and game. 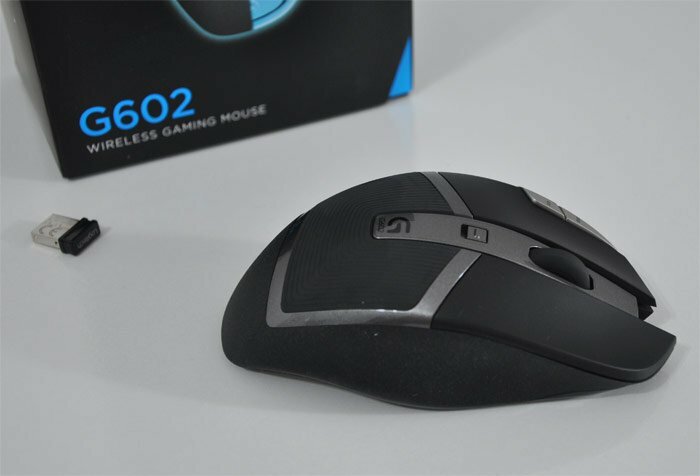 The Logitech G602 is highly recommended if you are looking for something a comfortable responsive gaming mouse, with a huge battery life and instant DPI customisation in game, but probably wouldn’t be so good if you need to setup super complex macros for your game. 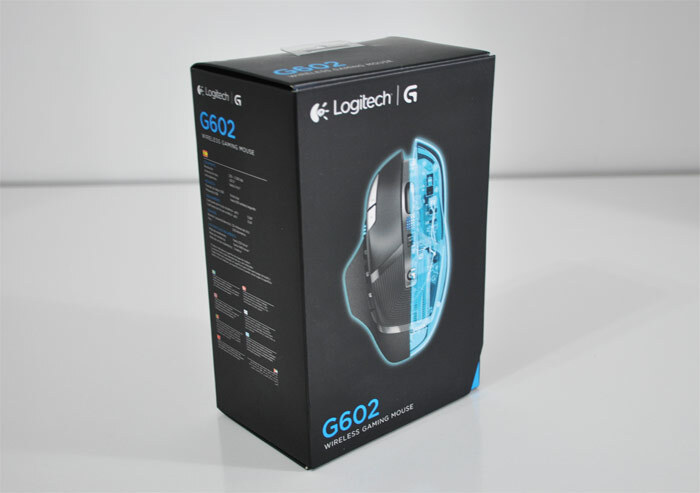 The Logitech G602 supports Windows and Mac and is compatible with Windows 8, Windows 7, Windows Vista and Mac OSX 10.6.8 or higher operating systems. For more information on the new Logitech G602 gaming mouse jump over to the Logitech website for details.